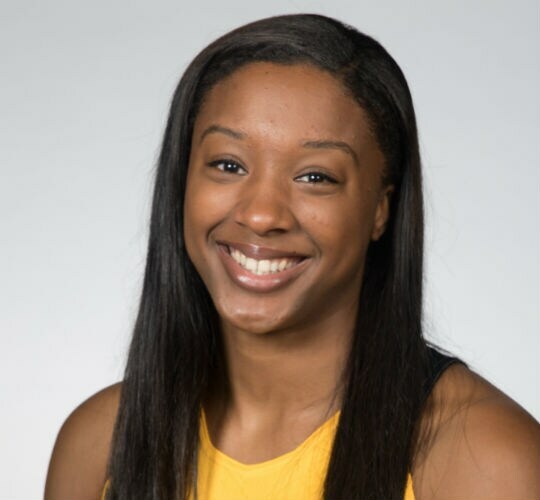 Two-time All-Pac-12 Honorable Mention pick (by Coaches in 2014, 2016) finished Cal career ranked 8th in program history for 2PFGM, 19th in career points … 2016-17: Ranked third on the team in scoring and rebounding … 2015-16: Earned second All-Pac-12 Hon. Mention honor. No. 2 among Cal Bears in scoring, rebounding. Finished regular season among top 15 in Pac-12 in off. boards (11th), 3PFG% (12th), FG% and 3PFGM (13th), and scoring (14th) … 2014-15: Started first 8 games before missing 7 due to a knee injury and subsequently returning mostly in a reserve role … 2013-14: Played in all 32 games, started 10 … PREP: All-State pick finished career at Manteca (Calif.) HS after helping St. Mary’s (of nearby Stockton) to a state title game berth.